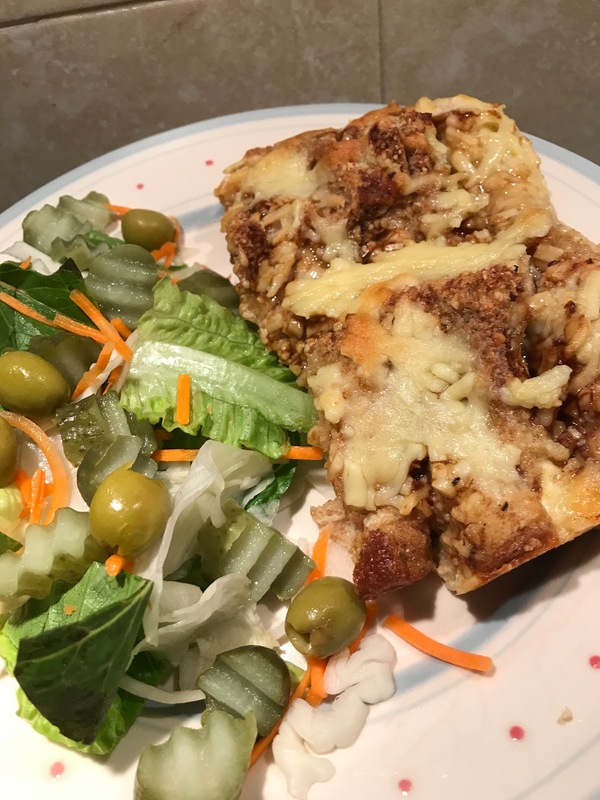 This is SUCH a tasty and versatile recipe. It's the perfect way to pimp up a sandwich lunch, or make a quick evening meal. It's budget friendly, really comforting and even the kids will love it too. It's really great if you want to make a sandwich based lunch that bit more interesting, or if you want something warming and hearty during the colder months. 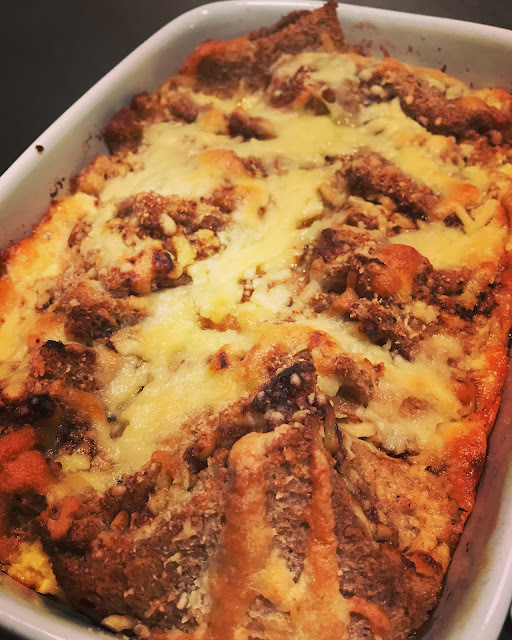 In this recipe, I've taken the basic principle of a bread and butter pudding, but given it a savoury twist! Think of a hybrid between a toasted sandwich, omelette, quiche and cheese on toast. 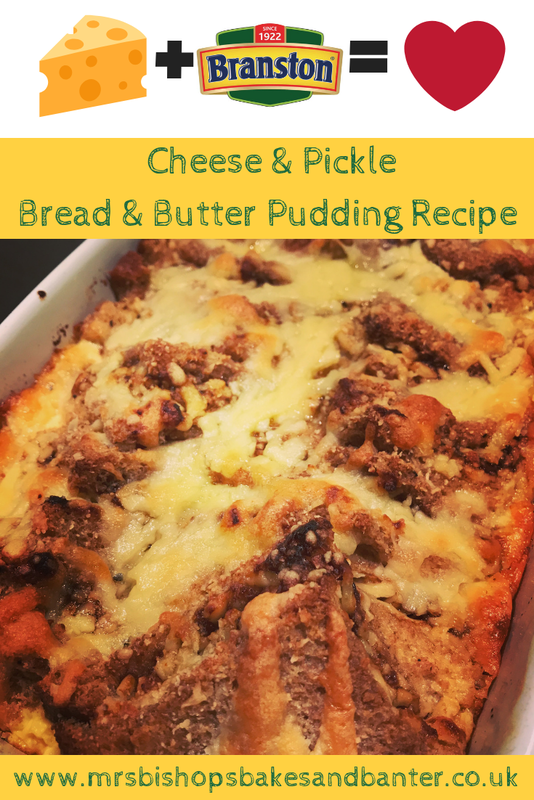 This version of the recipe uses the British classic - Branston Pickle, but there's a whole host of variations you could try (see ideas below). 1. Pre heat oven to 180 and butter an oven proof dish. 2. Make 3 conventional cheese & pickle sandwiches, be really generous with the pickle - you can use either smooth or original depending on your own preferences! 3. Cut each sandwich into 4 triangles, then arrange the triangles in two rows into the buttered oven proof dish. 4. Spread a little more butter on any dry pieces of bread which are visible once the sandwiches are arranged in the dish (this is to prevent burning or drying out in the oven). 5. In a jug whisk together 3 eggs, 400ml milk, 30g grated cheese, salt & pepper. Pour this savoury custard mix over sandwiches into the oven proof dish. 6. 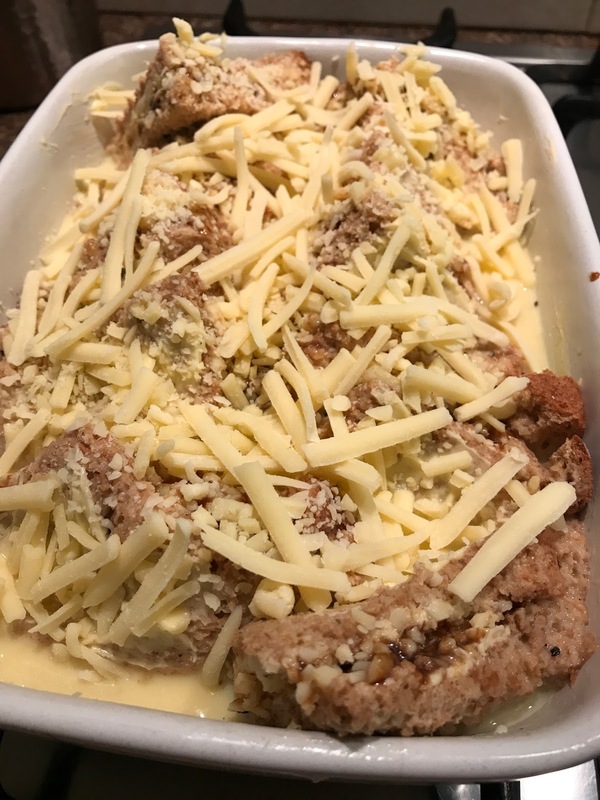 Sprinkle on the final 20g of grated cheese & bake for 25-30 mins until the custard is set and the whole thing is golden and bubbling. Leave for 5 minutes before cutting and serving.